Long time ago I was thinking about a big capacity pen case. It was a kind of passion for me, it must be both convenient and versatile. It should also be able to carry six fountain pen, two notebooks, passport, tickets and some note papers. 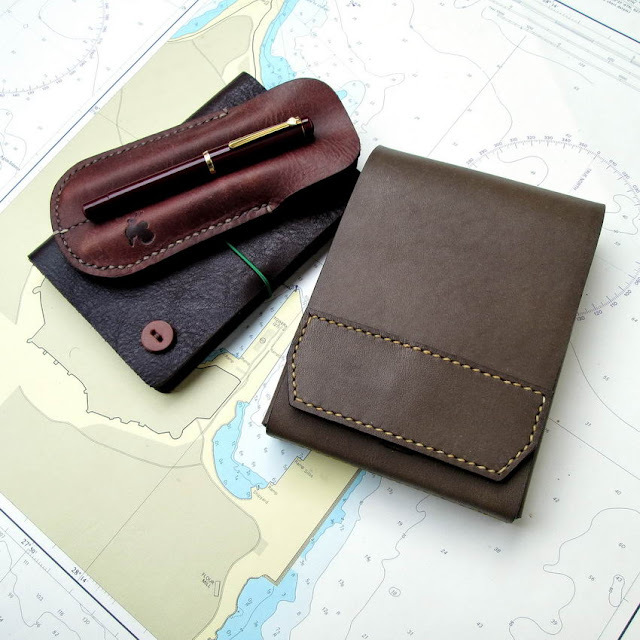 I need it be a complete notebook&pen case carry system for traveling. My new design product named Thales Pen Case and Notebook Holder for travelers is on the way now. I just finished its basic design depending our traveler custoners needs. Made one as beta sample for field test under the realistic, daily life conditions. I will develop it a little more with the feedbacks of the field-tests. Now I am in search of its closure system. Snap fastener or mangnetic closure. Lets see, what will happen.